I have two drafts mostly finished, in anticipation of the Global Atheist Convention and surrounding fringe events. One is a review of Russell Blackford’s Freedom of Religion & The Secular State, which I hope to finish and publish tomorrow afternoon/evening. The other is/was, a positioning of my views versus that of Richard Dawkins. One degree of meta-analysis away from the heat, I’ve done a lot of chasing around, pointing out misquotes, technically illiterate misinterpretations, and spurious analysis. In all of this, I haven’t spent much time pointing out exactly what differences I have with Dawkins. 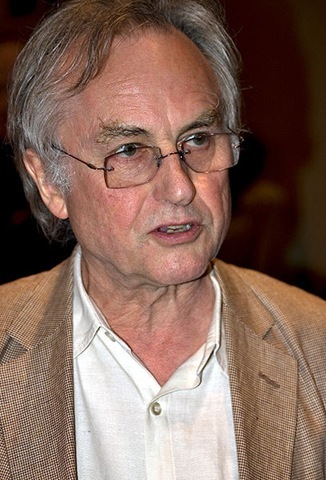 It wasn’t to be hostile, nor was it intended so much to position myself away from Dawkins. Rather, it was to be more of a clarification of where I’m coming from, in anticipation of some of the curiosity I may encounter given the coverage and analysis I’ll be doing over the next few weeks. As you can expect, things are incredibly polarised. Perhaps ABC’s QANDA has calculated on as much, or perhaps not (QANDA does have form for this kind of thing). The likelihood then, of finding someone wanting to critique my perspective, albeit casually as my post was intended to be, is pretty low. It’ll likely either be the dutifully fair, or the foaming-at-the-mouth angry. The dutifully fair deserve a little more than a casual post, and I’ll endeavour to turn my draft into something more worthy of their consideration, which I’ll publish at a later point. I suspect this group of people are capable of being patient, so there shouldn’t be any problems there. The other group, the mouth-foamers; well, I couldn’t care less about entertaining them. Indeed, the climate of pretentious pre-positioning on the #QANDA Twitter channel is becoming more and more insufferable, and I’m only human (poor frail me). (I don’t mind some of the good-humoured tweets – but that’s another thing all-together from what I’m talking about). I’m now beyond the point of being able to patiently humour this kind of thing, or lightheadedly jest about it. Now I’m just too annoyed. I’ve been reminded that social media can bring this out of people, but all the same, I’ve had enough. I’m raising my oars and waiting for this particular storm to pass. Now, I’ll get back to my other duties/preparations/drafts. It’s a couple of days march, at least, until Richard Dawkins and George Pell go head to head on ABC’s QANDA. Of course, I’m not referring to them when I talk about ‘wankers’. The ‘March’, is the predictable plodding of anxious and pretentious sods and sodettes, who lament the discussion in advance, down the bridge of their noses.